The first thing that caught my attention is the book’s title. Is Byrd a thing? An animal? A person’s name? Did the author spell the word ‘bird’ wrong? I wanted to discover the significance of this four-letter word. After reading the synopsis, I wanted to know how the characters will try to overcome difficult times as the story moves along. Kim Church practices law in Raleigh, North Carolina, where she lives with her husband. Aside from her official website, you can read more about her in SheWrites.com and in Goodreads. You can read an excerpt from the book here and if you plan to read this with your book club, you can find discussion questions in the author’s website. 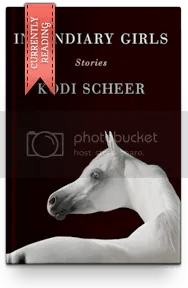 In this TNB Fiction self-interview, Kim Church shares more about her debut novel. Find out who her favorite minor character is and her advice to new writers. In the same interview, Kim Church mentioned that she spent ten years writing this book. ARC provided by Open Road Integrated Media in exchange for an honest, unbiased review. Thank you! This sounds like a lovely book and that cover design is just gorgeous!